Shoot RAW - A must when editing in Photoshop. A reasonably wide angle lens - Street photography is often about doorways and buildings, getting everything in is important. Fit into my pocket - There are certain neighbourhoods where getting out an expensive DSLR can be unadvisable, where not drawing attention to yourself is paramount! Picture quality - probably the most important on the list. I'd read a lot about the latest mirror less cameras with full size sensors. A lot of time would be spent pouring over the stats, reviews and photographs. Zoom? - I'd been using a fixed 35mm on the D90, and whilst a zoom can be handy, it wasn't going to be a deal breaker. 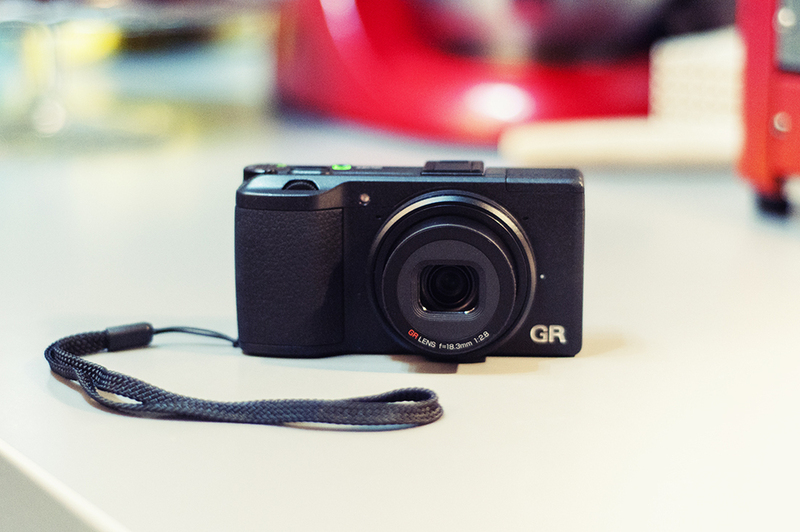 I finally settled on the Ricoh GR, promptly ordered and within a couple of days it was in my hands. I'd read a review which stated that when you pick the camera up for the first time, you can tell its been designed by a photographer - that reviewer was not wrong. It just sits perfectly in your hand, the grip and controls are all at just the right place. Suffice to say I really really like this camera, and my D90 has not been used at all on the streets since I got my hands on the GR. The resulting shots have given me an extended run on the Flickr Explore page with 9 of the 10 shots in Explore over the last week taken with the GR. Photographs are clear and sharp, great colour reproduction and low light photograph is exceptional. I can recommend this camera without hesitation and have yet to find something in it that I'm disappointed in. In a strange twist of fate, my very first digital camera was a Ricoh Caplio 3.5 megapixel compact......how things have changed since then! !